Senday Enterprise Co., Ltd., is a professional lathe manufacturer established in 1975. We have passed ISO and CE international certification. With quality, technology and after-sales service as core values, our industry-leading technology and commitment to excellence our products have won the trust of local as well as international customers and distributors. By letting our quality speak for our reputation and staking our reputation on our quality, our relentless pursuit to quality and quantity has enabled us to realize win-win outcomes in business with our customers. In the future, Senday intends to be even more proactive in market development. With Taiwan as our base and the world as our market, we will leverage the regional advantage offered by our 33,000 square meter factory in Foshan, Guangdong, to promote our brand on the international stage. Senday has successfully marketed our products in more than 40 countries thanks to an extensive system of overseas sellers and distributors. With the core values of quality, technology, service, and delivery time, Senday offers customers remarkable products, perfect service, and punctual delivery time. Senday Enterprise Co., Ltd., established with capital of NT$2 million. Designed, developed and produced pneumatic-hydraulic semi-automatic lathes. Capital reaches NT$6 million. Designed, developed and produced computer-controlled lathes; trademarked in Thailand and Indonesia. 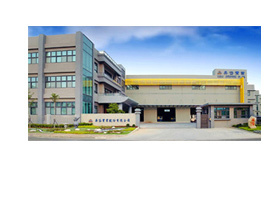 Joined the "Taichung City Precision Machinery Technological Park". The new 7,900 square meter site provides14000 square meters of building space.. Received the "Golden Hand Award" from the Taichung County Government. Patent on Improved Lathe Tailstock Structure (R.O.C. Patent No. M260344). New Factory constructed on new 33000 square meter site in Foshan, Guangdong. Construction begins at the Taichung City Precision Machinery Technological Park. Capital reaches NT$66 million. Taichung Precision Machinery Park plant completed .Capital reaches NT$120 million. Established multi-task CNC lathes with C axis and Y axis assembly line.